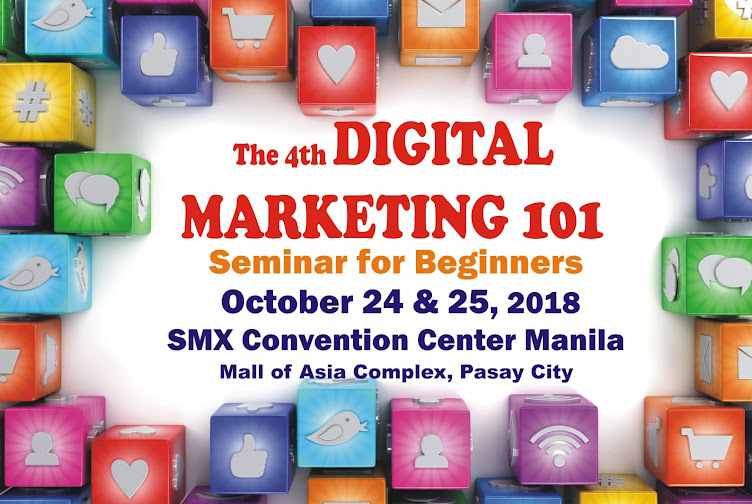 The Digital Marketing Conference you've been waiting for is here! Fast track your digital marketing success at affordable anniversary rates! 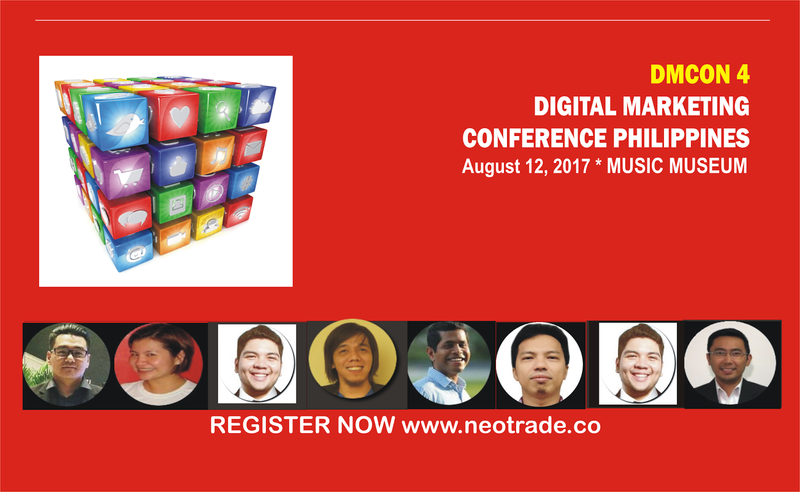 The DMCON 4 - DIGITAL MARKETING CONFERENCE PHILIPPINES 2017 is a seminar thoughtfully designed to make marketers learn and get ahead with Digital Marketing all in one day! 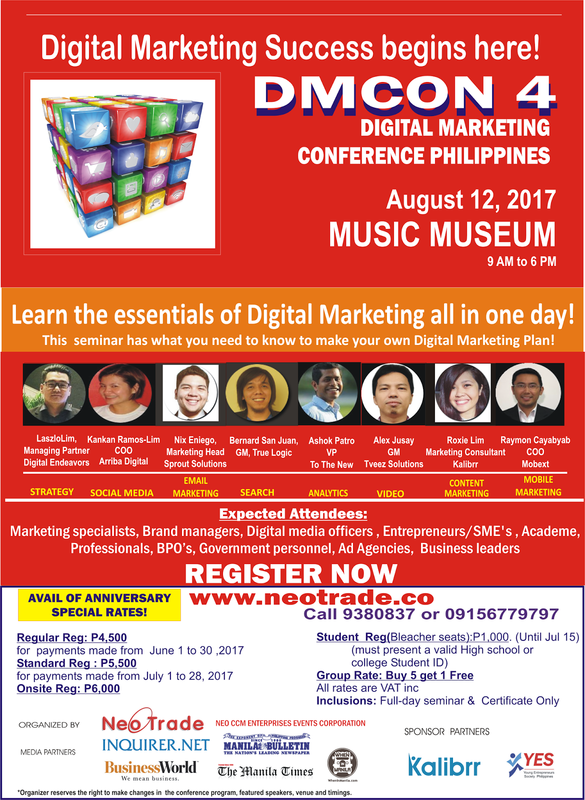 The event will be held on AUGUST 12, 2017 at the MUSIC MUSEUM, Greenhills, San Juan City. We would like to invite your company representatives to be seminar delegates at the Digital Marketing Conference Philippines. It is designed for all who have basic knowledge of digital marketing. Student Onsite Reg (Bleacher seats): P1,000. love the way you write the article. i loved it. nice article. you provide the really good information which i was looking.